According to the Airports of Thailand (AOT), Don Mueang International Airport is now the world’s top airport in terms of airline passenger numbers travelling on a budget. 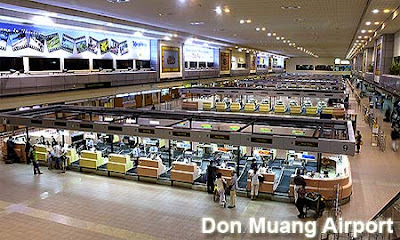 The airport receives about 22.5 million budget airline passengers each year, said AoT president Nitinai Sirismatthakarn. Doing the math, Don Mueang actually receives an additional four million passengers as it was designed for a maximum of 18.5 million passengers each year only. Bangkok Post reported that Mr. Nitinai spoke yesterday at the Low Cost Carrier (LCC) Airports Congress Asia 2015 in Bangkok, which aims to promote Asian aviation, travel and tourism. According to Mr. Nitnai, Don Mueang beat Kuala Lumpur International Airport, one of the most popular airports serving low-cost airlines in the world, for passenger traffic. Don Mueang has enjoyed passenger growth over the past three years, with a 50% surge in passenger traffic in the first half of this year compared to the same period last year, Mr. Nitinai added. The AoT President also said that the growth will continue over the next decade as international airlines had made purchase orders for 8,000 aircraft carriers, including 2,800 carriers by airlines in Asian countries. Next Next post: This Young Doctor Attributes His Success To His Teacher. Find Out Why!! !